Sleep dentistry can be very beneficial for patients who have general anxieties over having work done at the dentist, or who want to asleep during a procedure that is either painful or invasive. Finding a dentists that offers sedation in your area can be difficult, but calling our Emergency dentist hotline will give you access to the best sedation dentistry practices in the nation. Our hotline is easy to use and free to call. Sedation or sleep dentistry is done by a dentist that will put you to sleep. However, many times you won’t actually be asleep during your procedure but your body and mind will both be relaxed as if you were. This is done with different types of medication or gas that puts to sleep in order to help you feel less pain during your dental procedures. Our hotline and online directories can help you find a dentist near you that will put you to sleep. For patients who have a fear of the dentist, sedation dentistry is an option that can alleviate a stressful situation for the patient, the dentist, and the staff. Treatments and procedures are easier for the patient to get through and easier for the dentist and the staff to complete. Contrary to general belief, sedation dentistry is very safe, highly effective, and is administered by a professional by using an IV drip into the patient’s bloodstream. It’s the most effective way to sedate the patient while they can relax and prepare to drift off. Sedation dentistry becomes of great importance when patients are too scared to see the dentist to have work done, even if there is a problem that is causing them great pain. Though pain, or any other critical factor, may be known and present in a patient’s current oral health situation, even that is sometimes not enough to push their fear and anxieties aside. Thankfully, sedation dentistry not only allows the patient to relax during their appointment, but IV sedation typically includes post partial amnesia. This means that the patient will not remember much, if not any, of what occurred during their appointment. The amount of time that is spent at the appointment is practically cut in half for the patient, as well. Because they don’t recall much or any of the appointment because of the sedation, it will seem like they sat down, fell asleep even though the patients don’t actually sleep, and was ready to leave not even five minutes later. This helps patients with anxiety greatly, as well. Finding a dentist that offers sedation isn’t as easy as you think it would be. Although, there are ways to find dentist oral sedation practices near you without having to endlessly Google “sleep dentistry near me”. Here are online directories and engines available for you that can help connect you to a sedation dentist either in your area or relatively close to your location. For example, SedationCare.com has information on both American and Canadian options for sleep dentistry. All you have to do is input your postal or zip code, the country you live in, and the distance of how far you are willing or are able to go. Inhaled minimal sedation:This is done with the use of nitrous oxide and oxygen to help you relax. Your dentist has complete control of the amount of sedation you receive and it wears off quickly. Oral sedation:Oral sedation can range from minimal to moderate and is administered by a pill taken about an hour before the procedure. The medication will make you drowsy but you will still be awake. A more moderate dose may put you to sleep but you can be easily awakened. IV moderate sedation:This is given through vein and works quickly. It allows the dentist to continually adjust your levels of sedation. Deep sedation: This method is done by administering medication that will make you unconscious for your procedure. You will not be awakened until the anesthesia wears off or is reversed with other medications. This method is usually only done for the most invasive of face and dental procedures. Children who have dental anxiety may be able to benefit from sedation dentistry. To find pediatric sedation dentistry near you, call the Emergency Dentists USA phone number, or search our many city and state directories. Dental procedures can be painful and you may be searching for “Painless dentist near me”. Sometimes sedation dentistry is referred to as pain free dentistry.This is just another name that many dentists use to promote comfortable options for patient’s dental procedures. It can be easy to find pain free dentistry near you with Google’s search tools and our services. Our hotline and conducting a basic search on Google are also ways to figure out what your options are. Unfortunately, emergency sedation dentists in your area can be difficult to find. With any dental emergency, sometimes your options to get treatment are slim to none, which is why we have our 24/7 dentist hotline to help you find a dentist near you. Call the number, give some basic information, and you’ll be directed to the closest sedation dentist to either your area or relatively close to it. IV sedation dentistry is a sedation method that uses monitored anesthesia. The medication is administered through a vein and patients are put into a deep sleep. They are still able to breathe but will not be able to feel the work being done in the mouth. This method of sedation is usually only used for more invasive procedures. Our services can help you find an IV sedation dentist near you for you or a loved one’s dental procedures. In short, sleep dentistry is the use of sedation through an IV drip into the patient’s bloodstream to help ease their fears and anxieties of being at the dentist and having work done on them. 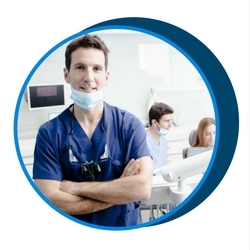 Dental sedation is safe when given by experienced dentists. However, to assure your safety you should talk to your primary care provider before getting sedation to make sure there are no other medical conditions that could interfere with the medication. Are you asleep during sleep dentistry? No, you’re not asleep during sleep or sedative dentistry, but it will feel like you are or were after the fact. You will feel sleepy, groggy, and pretty much out of it, as if you’re exhausted and drifting off to sleep. How are patients sedated during sleep dentistry? Your dentist will either have you inhale what they call “laughing gas”, or they will give you an IV drip that goes directly into your bloodstream to sedate you. Both of these methods are safe, effective, and administered by a professional. For those who want the least memorable appointment as possible for whatever reason, the IV drip method is the way to go. It has a higher chance of eliminating the possibility for patients feeling any anxiety or pain, and, more often than not, leaves them in a state of minor amnesia after they are fully conscious and aware again. Is sleep dentistry safe for children? Not only is sleep dentistry safe for children to undergo, it’s actually highly recommended for treatments and procedures that are usually very complicated for children to undergo. For example, if a child needs to have a tooth pulled, but they don’t want to by any means necessary and have a fear of the dentist that causes the dentist to struggle with the procedure, sleep dentistry can help relax the child and allow the dentist to do what needs to be done. Sleep dentistry is a beneficial option for all ages, anxiety levels, you name it. Are there any side effects of sleep dentistry? Typically there are two side effects that occur after sleep dentistry. The first is that some people tend to get the hiccups for a couple of minutes while it has a chance to fully wear off. Second, a lot of people will experience dry mouth. However, these side effects occur while the sedative is wearing off, so if you do experience either, or both, of these side effects you probably won’t even remember them. Instead of searching “sedation dentist near me” endlessly on Google, give us a call at our 24/7 dentist hotline to get an immediate referral. Our hotline is fast, free, and very easy to use. Find Top Local Sedation Dentists - Click to Call!